With crime on the rise as The Have-Nots of San Francisco turn to crime against The Haves to pay for their Extermis 3.0 treatments, a new crime-fighting solution is required. 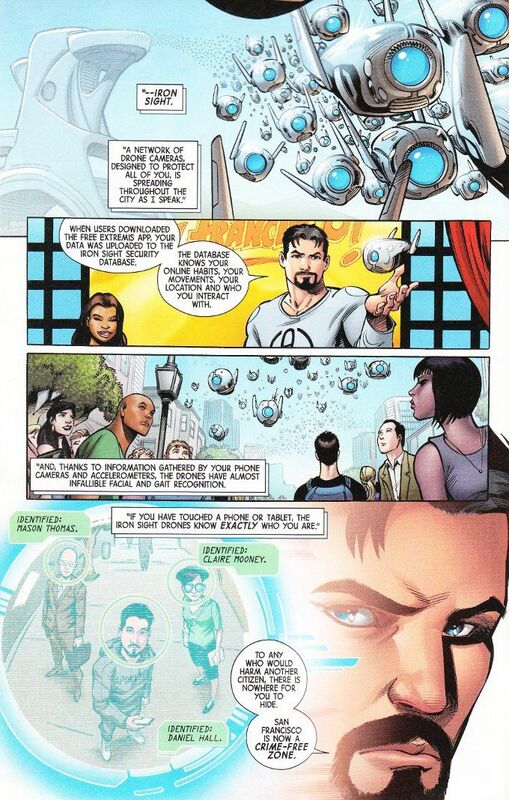 Tony Stark has the answer - drones watching everyone who signed his service agreements to make sure that they're safe at all times. Naturally Matt Murdock is less than thrilled about this new development. But what can The Man Without Fear hope to do against The Superior Iron Man? Tom Taylor does a masterful job of manipulating the reader's expectations with this issue. We don't know quite what to make of this Tony Stark. For every moment he seems to have returned to the wicked ways of the Civil War Tony, we see some signs of the man of compassion he once was. 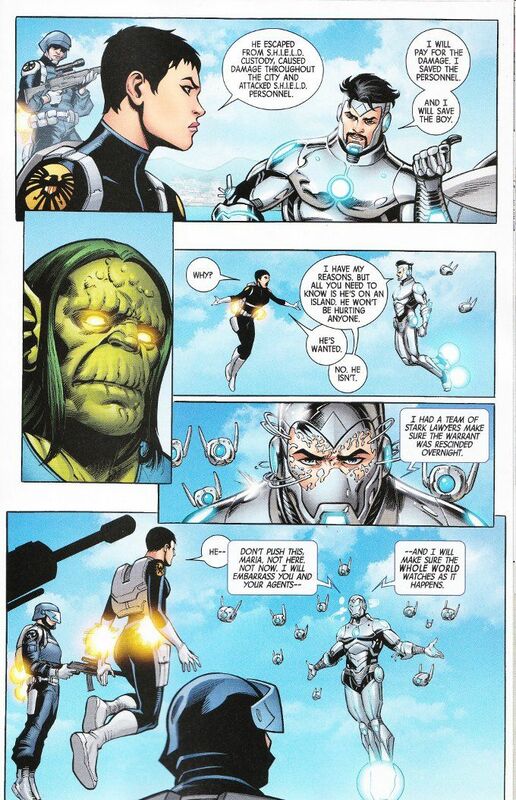 Nowhere is this more clear than in Tony's treatment of a young super-being known as The Teen Abomination, whom Tony defends from SHIELD. Despite being handled by two inkers this month, the artwork for this series remains undiminished in quality. Quite often when a book employs more than one inker, it shows. And any disparity in style and skill-level between those two inkers is immediately obvious. That isn't the case here, thankfully. Both Cory Hamsher and Tom Palmer do a fine job of enhancing Yildiray Cinar's original pencils.